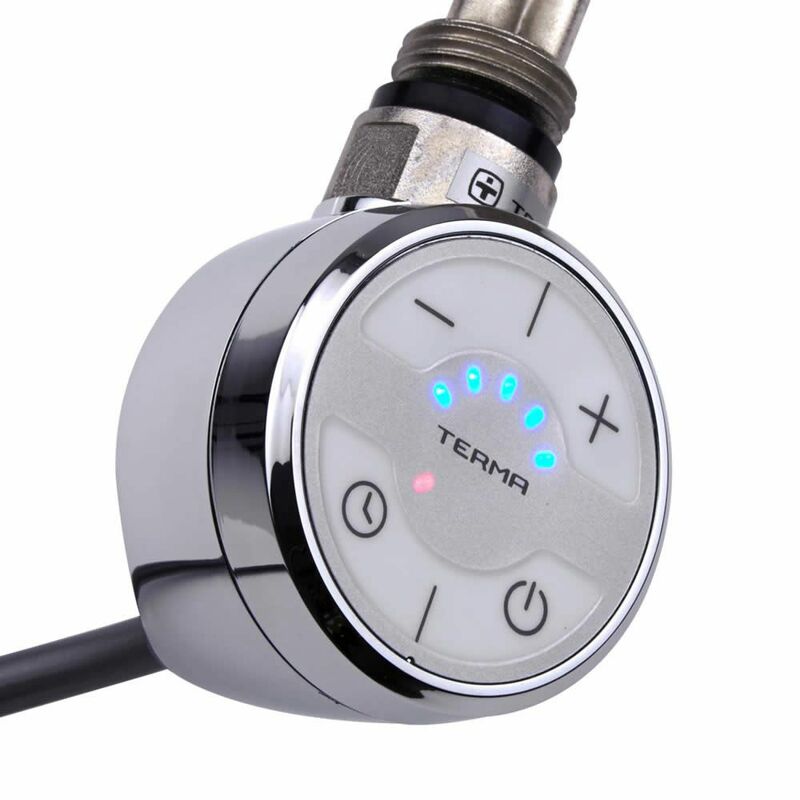 Boasting superior functionality and usability, this 400W Chrome Heating Element from Terma is the ideal choice for those wishing to convert their standard radiator into an electrical one. 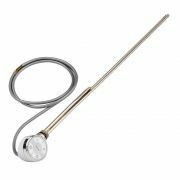 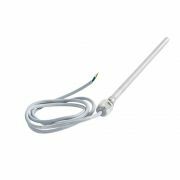 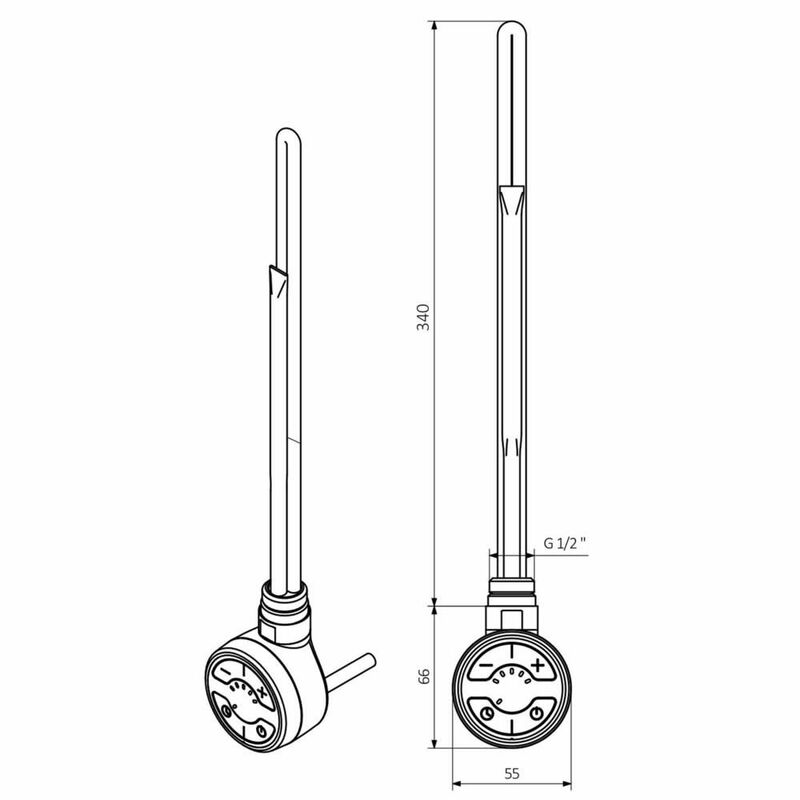 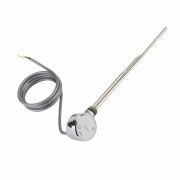 Easy to install and even simpler to use, this heating element features a minimalist speedometer styled sealing head that allows users to monitor and adjust their settings with a push of a button. 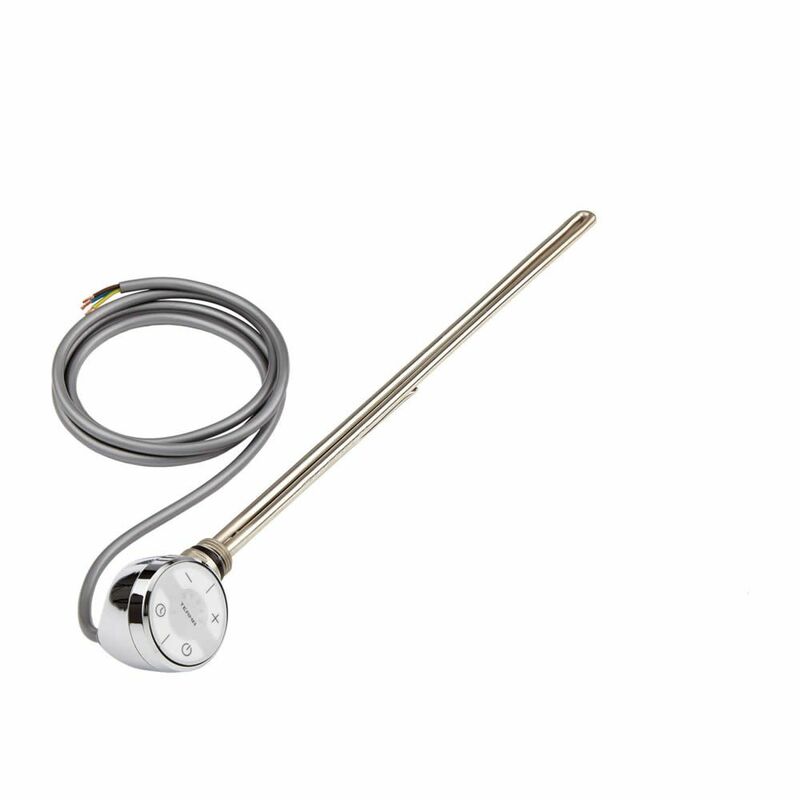 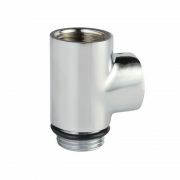 This heating element offers five temperature settings from 30 to 60C, and also features a unique drying function that allows you to set the element at a higher temperature for two hours, before returning to its previous setting. For even greater convenience, this heating element will remember its previous settings even in times of power failure, making it a reliable companion for external timers and intelligent home systems.